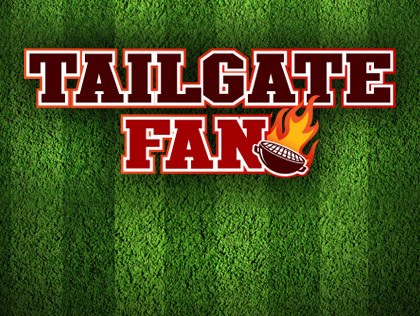 You might think that if you’ve been to one tailgate party, you’ve been to them all. Contrary to that belief, parking lot parties are an art form with personalities of their own. The San Diego Chargers tailgates are no exception. Qualcomm Stadium holds a plethora of unique tailgate parties – choose your poison! Section F2 – Biggest Party: The Bud Light Chargers Power Party will not disappoint and coins itself to be “the ultimate tailgate party.” Partygoers should expect to see large quantities of food, drinks, tailgating games and, of course, prizes and giveaways. The Power Party will also show live, pre-game coverage on large-screen TVs. During regular season, you can easily locate the Power Party at Section F2 and can start your festivities three and a half hours before kickoff. Admission to this is free and both adults and children are welcome. Section D3 – Best Beer: If you have tickets to the October 15 Chargers/Broncos game, you won’t want to miss the “Cooking with TailGate Beer” party hosted by San Diego craft brewing company, TailGate Beer – The Official Beer of Tailgating™ and SD Chargers Tailgating. Located in Section D3 of the parking lot (approximately eight stalls west of the D3 sign and one row north), five tailgaters will face off in a grilling competition that requires using TailGate Beer. TailGate Beer will be available for each competitor’s dishes and there will be plenty of TailGate Beer for the audience and judges to enjoy. A special prize from TailGate Beer goes to the winner. “Cooking with TailGate Beer” begins at 1:30 p.m. and the game starts at 5:30 p.m. Two tasty recipes to try at home are the Blacktop Blonde ChickCAN and Fish Tacos using the Hefeweizen. Official Tailgate District – Best Food: The San Diego Chargers have partnered with Centerplate, the premier hospitality service for the National Football League. Located in Qualcomm Stadium’s official tailgate area, Centerplate has every delicious dish imaginable for your tailgating appetite. This football season, the company launches new cuisine and beverage themes. The food trucks feature local favorites like San Diego Street Eats, The Super Q and Food Farm; Farm to Fan brings veggie-friendly food with all produce coming from local farms near San Diego; the Tailgate Zone houses the draft beer technology, Bottoms Up, which pours a pristine beer every time. The Dog House has a delectable range of gourmet hot dogs including the signature carne asada dog; First Down Fries, the NFL’s official French fry bar, is filled with fry seasonings and toppings; the Whisky Bar will whet your palate with its international selection of top-shelf whiskies and bourbons; Hamburger Huddle (near the Tailgate Zone) has game-day specials; Beach Bar brings a Mexican flair to the party with street tacos; and Beers of the World provides a perfect opportunity for you to drink around the world in a day.